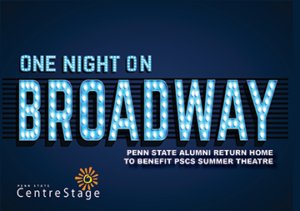 Penn State Centre Stage will launch its return to professional summer theatre with “One Night on Broadway,” a special benefit event, Monday, May 20, at the Penn State Downtown Theatre. 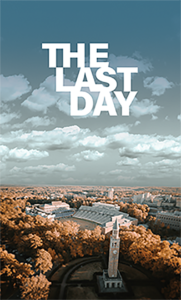 The evening will include wine, hors d’oeuvres, desserts, and current Broadway/Penn State alumni performers. 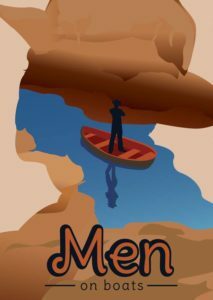 Proceeds support the relaunching of professional summer theatre.